For my wife, newbies, my friend’s sister, my friends in general who -as we grow- started to open their own businesses, and now want to include Social Media in their Marketing Strategy. A couple of weeks ago, I wrote a Definitive Guide to Start on Social Media for Startup, it probably was for them too, and if you’re like them, just starting on Social Media, or starting your startup and want to know more about advertising on Social Media, this article is for you. Mostly, for housewives, people looking for a job, or looking to work from home, people looking to make extra money, or even small agencies. My wife and many other ladies, as well as a couple of my friends, have been asking me a lot of questions about advertising, they want to work in that field, even they had noticed that Digital Advertising is important and many companies have openings in that field. So, if you’re in fact looking to start a new career, social media advertising could be a good choice, stick around to learn about the essentials of Social Media Advertising. What are the objective of brands from Social Media Advertising? I mean, there must be a purpose of advertising, a goal that brands want, that’s why they show their content and promote it to audiences. Twitter answers that question brilliantly with the “Objective Based Campaigns”. straight forward, you have an objective, and based on it, we help you select a campaign. Once you figure these objectives, everything else is easy to understand. 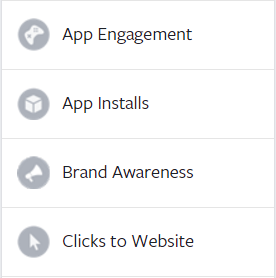 App Promotion to get app opens or app installs, if you have an app. Website clicks and conversions, to get signups, purchases or filling forms or even surveys, when ever you want users to leave that social network and be redirected to another website or landing page, that is a conversion. So, think of your brand and align the above objective with your overall brand strategy before you start any advertising on Social Media. Always optimize for mobile, Facebook, Twitter, Snapchat, Instagram are all mobile-first platforms, meaning, the majority of their users uses Mobile, so most probably they will be viewing your advert while using Mobile. CPV: Cost Per View, works on Video, the cost you pay when someone views your video, currently the cheapest module of them all as most networks are trying to boost their video ads. 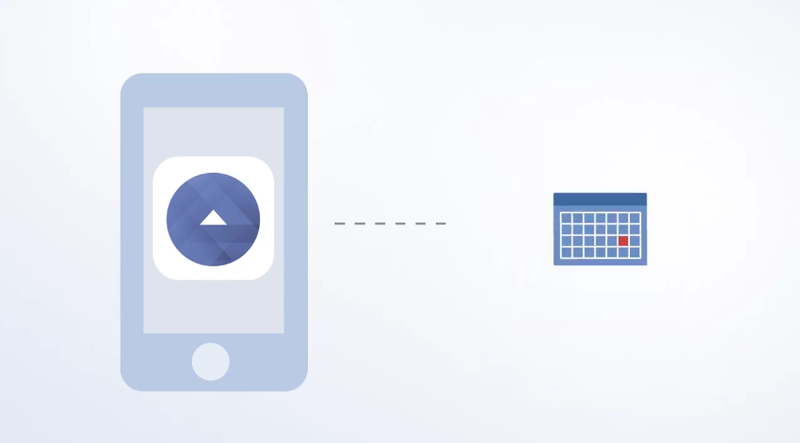 Pixel: A code or script, that is provided by the Social Network, you place it on your website, and it starts counting conversions that is coming from your Ad. 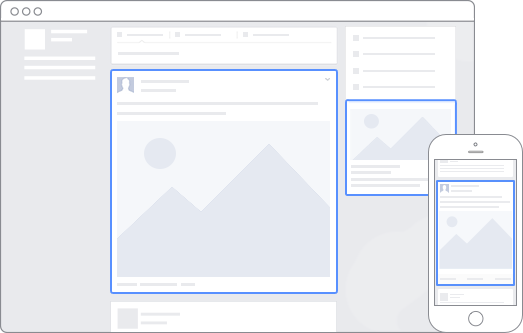 Each Social Network has it’s own pixel, however, you can use Google Tag Manager to manage them all. 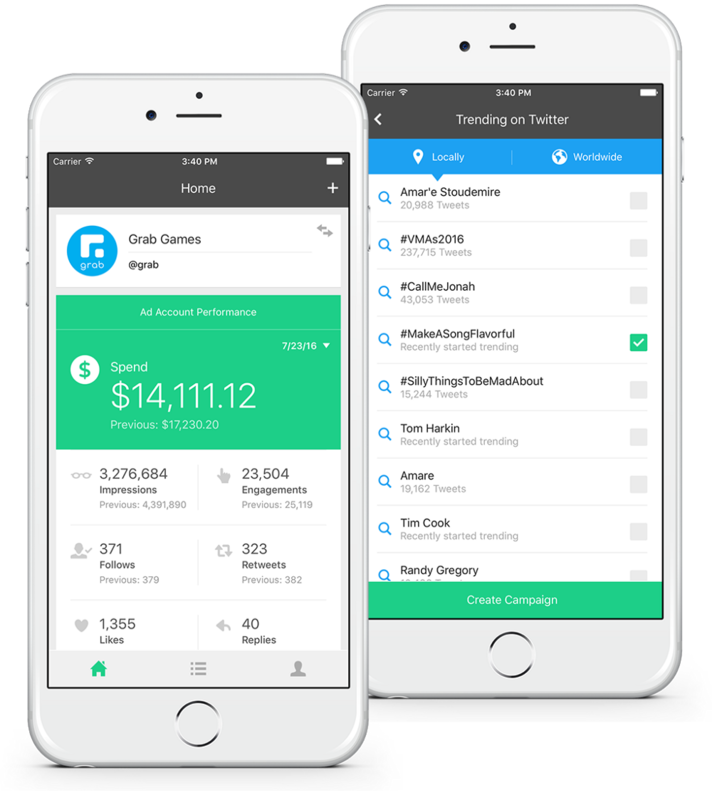 Quality Score: is an estimate of the quality of your ads. 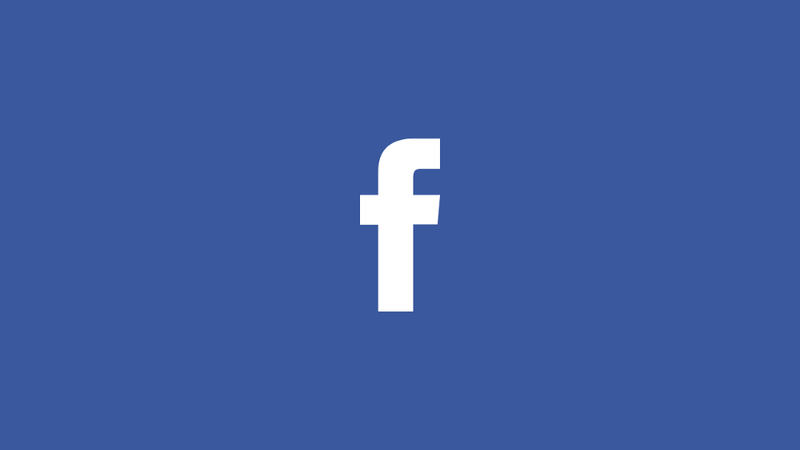 As we said, Social Media Advertising must have an objective that is aligned with the brand’s marketing objective, that’s why Facebook divided their Facebook Adverts guides into objectives. 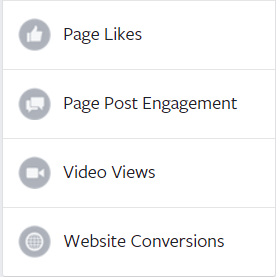 Each objective has an Ad type, to learn about the ad types, you can check the advert guide page for live examples. below are the most common ad types you might use. 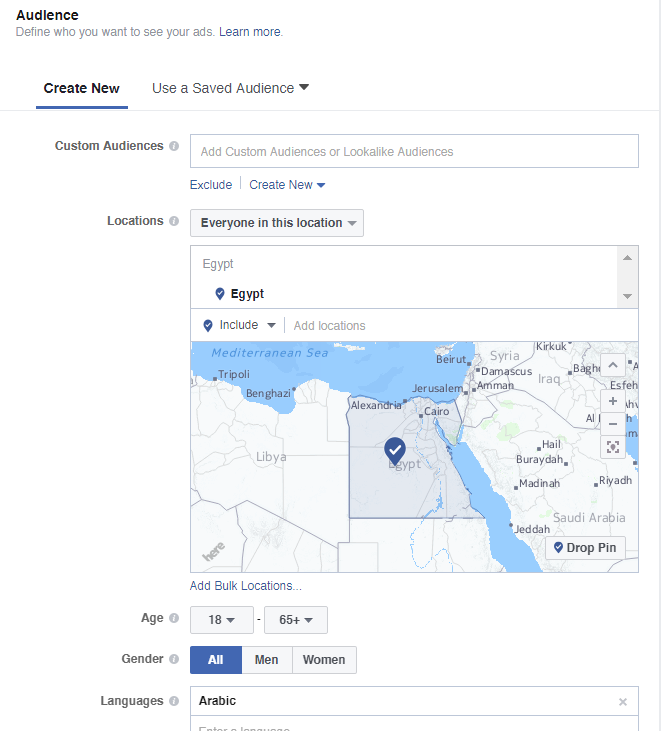 Facebook doesn’t allow keyword targeting, however; it allows of detailed targeting by interest that can goes deep as to your competitions name, make sure to use this feature. Once you’re done, you can hit save audiences, so you can use them with future campaigns. 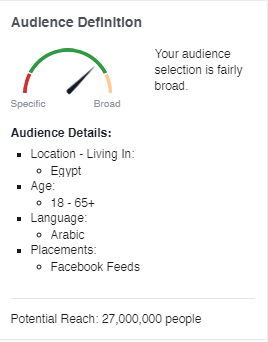 Demographics: Choose the audiences that should see your adverts by age, gender, interests and even the languages they speak. Interests: Choose from hundreds of categories such as music, films, sport, games, shopping and so much more to help you find just the right people. Behaviors: find your audiences based on the things they do — such as shopping behavior, the type of phone they use or if they’re looking to buy a car or house. Things are a bit less complicated with Twitter, at least for new users. 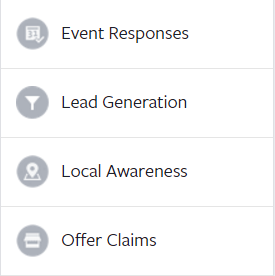 The Objective Campaign Manager, basically walks you through the process of creating a campaign that works with your business objective from the campaign. 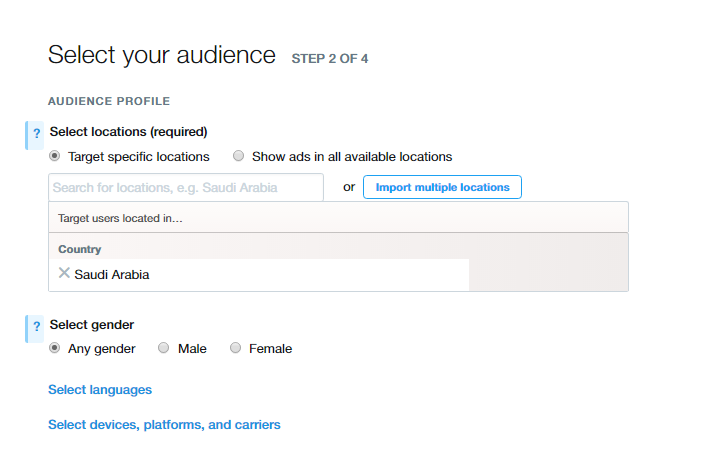 Head over to twitter Dashboard, and fill in the required information, once done, you will be taken to creating your first campaign. “DEC_001_M_KSA_VV” Basically, that naming can get very confusing, but for many brands, it’s good for reporting. 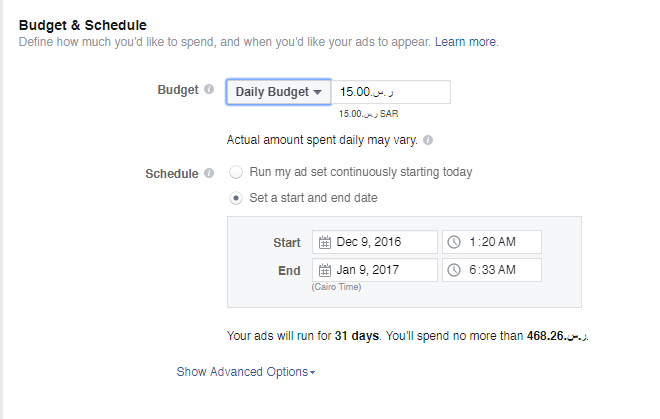 Now, setup the campaign duration, you can run it continuously or define a certain date for the campaign end. Carriers: The network they are connected from. 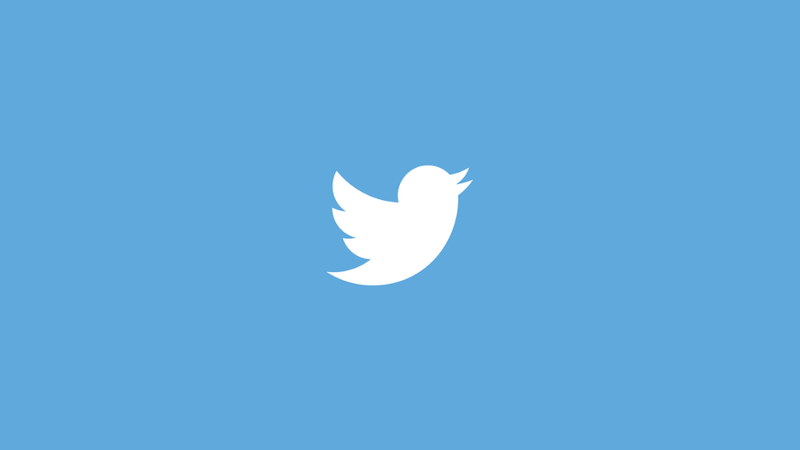 Additionally, twitter has a very powerful set of capabilities to fine tune your targeting. TV Targeting: although, it’s not available for all countries, but it allow you to target specific people based on their conversation around certain TV show for example during Airing time of the show. 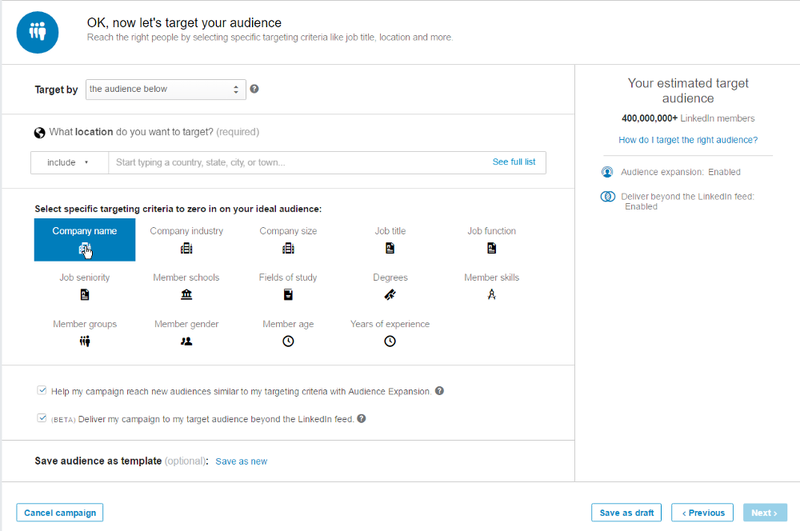 Tweet Engagers: IMO one of the best targeting options on Twitter, allows you to target users who already engaged with your ads before, for example, once users install your app from a previous campaign you ran, you can push new more ads, and using reengager for them to buy stuff from your website using your app. Pacing: For many cases, you will get a request from your management that you have an urgent campaign that is for limited time, you can then use the Accelerated option to burn as much as possible and as fast as possible. 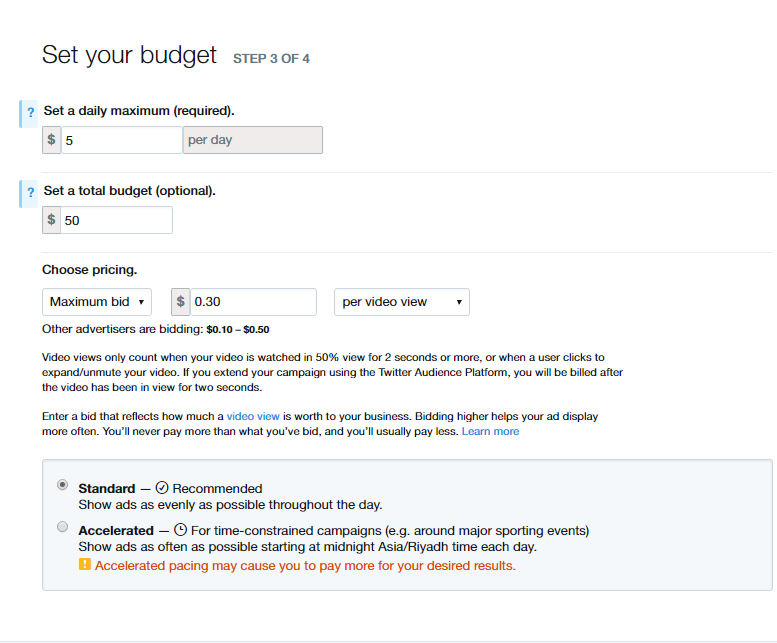 2- Promoted Only Tweets: Tweets you post and compose from your advertising Dashboard. 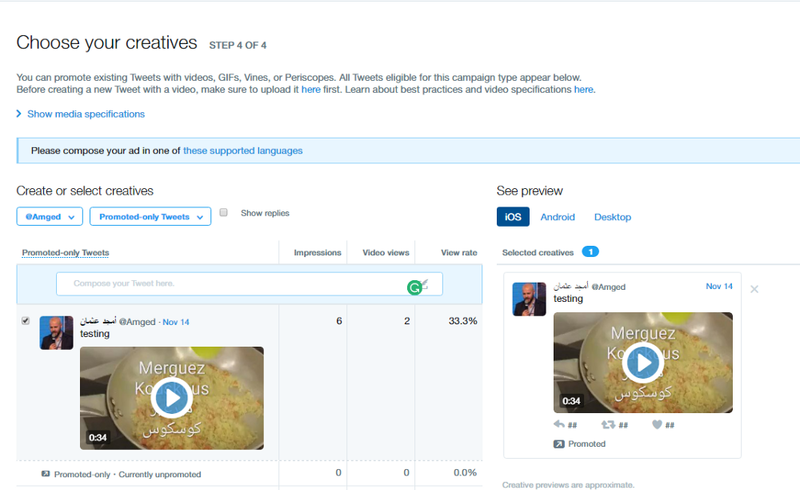 Promoted only tweet as hidden tweet, that doesn’t appear on your timeline, but can be used with your campaigns, and you can select them from your dashboard. Promoted only tweets will be marked clearly with Promoted Only Label as shown below. Finally, once done, hit launch or you can save and exit to launch later. Sponsored lenses are custom Snapchat lenses. 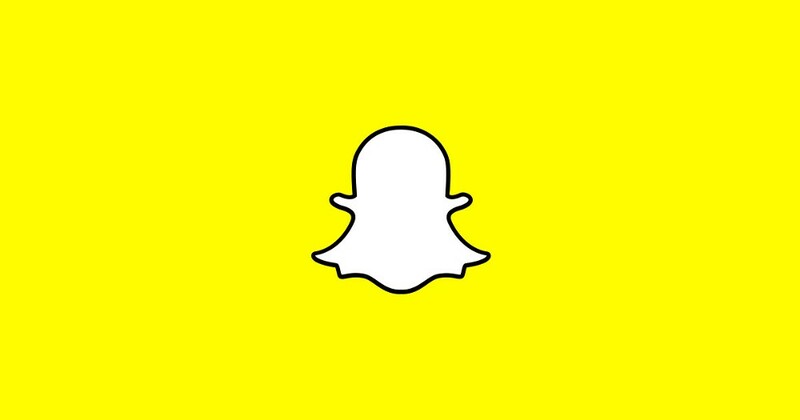 How To Start Advertising on Snapchat? Submit your design, enter your payment details and that should be it. You can read more on How Social Media Targeting can help Startups Secure a deal. 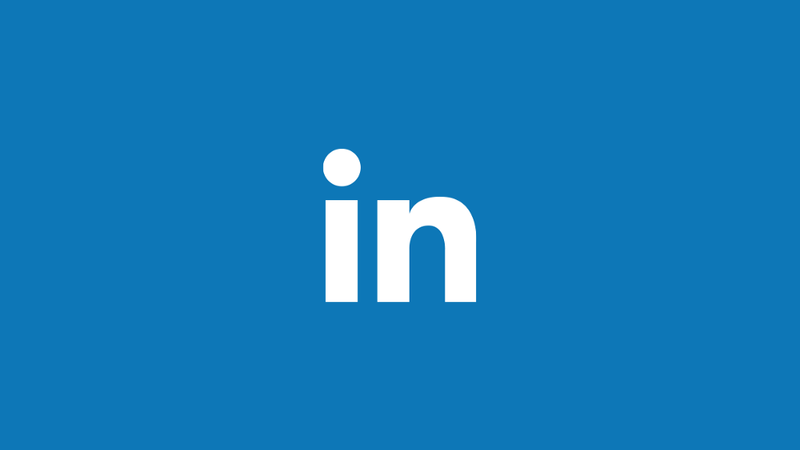 I’ve explained more in details how can you utilize LinkedIn Advertising. To run advertising on Instagram, you must have a business account on Facebook, since Instagram is own by Facebook. Worth mentioning, that Instagram doesn’t allow for Account followers advertising. You will have to work on that with engagement. 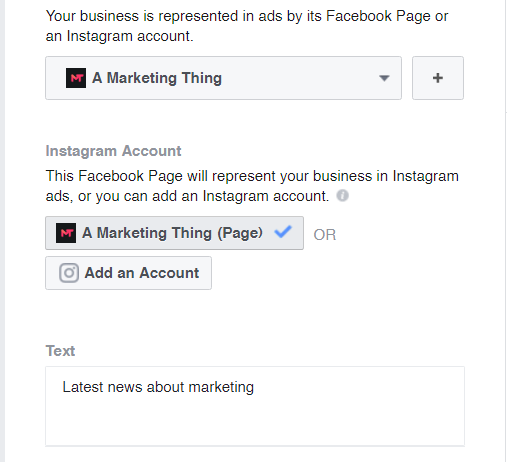 To Start Advertising on Instagram, just liek Facebook, head to your ads manager, and in the Placement section, make sure Instagram is selected. 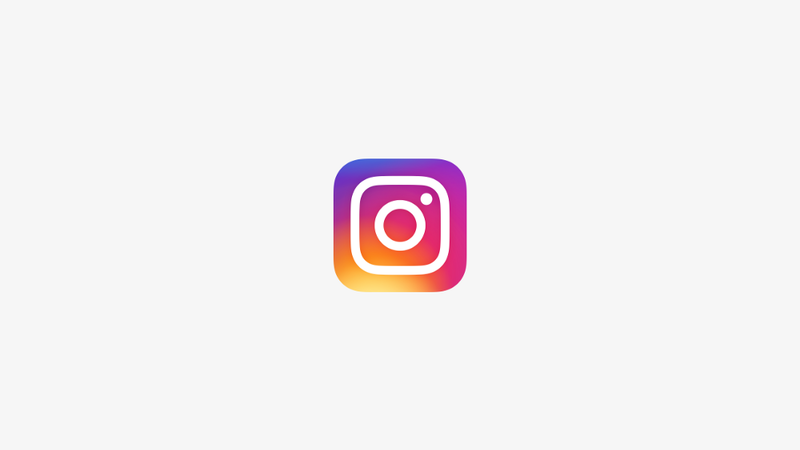 If your page is not connected to Instagram, make sure to link it before you continue.